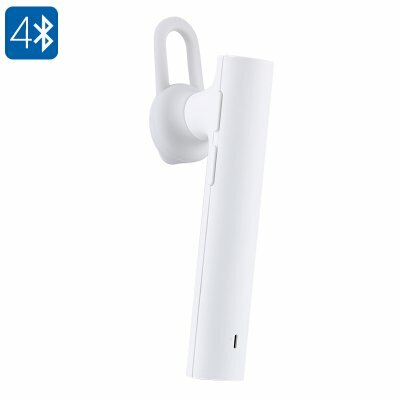 Successfully Added Xiaomi Mi Bluetooth Head Set Youth Edition - 98dB, CSR8610 Chipset, Noise Cancelling, Bluetooth 4.1, Hands-Free Calls (White) to your Shopping Cart. The Xiaomi Mi Bluetooth Head Set Youth Edition is the perfect earphone for all audiophile music addicts out there. Not only does this wireless earphone allow you to listen to your favorite songs on the go, it also lets you engage in hands-free phone calls – providing you with an efficient and safe way to stay in contact with your friends and loved ones while driving your car or bike. Featuring a stylish in-ear design and coming with 3 pairs of different sized ear buds, the wireless Xiaomi Bluetooth headphones are guaranteed to fit anybody out there. Thanks to its lightweight design and comfortable fit, you will be able to wear these beauties in your ear without actually noticing that they’re there. Its efficient multifunctional design lets you adjust your volume, browse your music library, skip and select songs, and even accept or reject incoming phone calls with the touch of a button. No longer will there be the need to physically have your smartphone at hand as, with these wireless headphones, you’ll be able to control everything through the buttons that have been integrated within its design. By supporting Bluetooth 4.1, you can be assured that these Xiaomi headphones allow quick and stable audio transmissions – letting you enjoy all your favorite songs and engage in hands-free phone calls without experiencing any delay. Packing the CSR8610 chipset, these headphones are capable of delivering a truly audiophile-grade music experience - allowing you to enjoy those all time classics like never before. Coming with the latest noise-canceling technology, this Bluetooth headset lets you listen to your favorite songs without being interrupted or disturbed by any outside noise – thanks to which it truly delivers an astonishing audio experience. Capable of delivering up to 98dB, this wireless headset truly lets you blast those songs away. Its 98mAh battery lets you listen to music and engage in phone calls for up to 3 hours continuously, enough to get through the average day without needing to worry about running out of juice. The Xiaomi Mi Bluetooth Head Set Youth Edition comes with a 12 months warranty, brought to you by the leader in electronic devices as well as wholesale electronic gadgets..